We love eating apples all year round. What we really love is going to the orchard and picking apples in the fall. We look forward to this outing all year long. A wonderful way to spend a sunny fall day outside with the family. 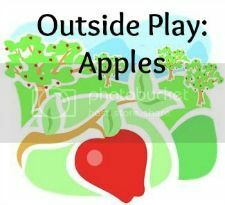 Speaking of outside fun, today we are happy to be participating in the Outside Play Blog Hop – this month’s theme is APPLES! 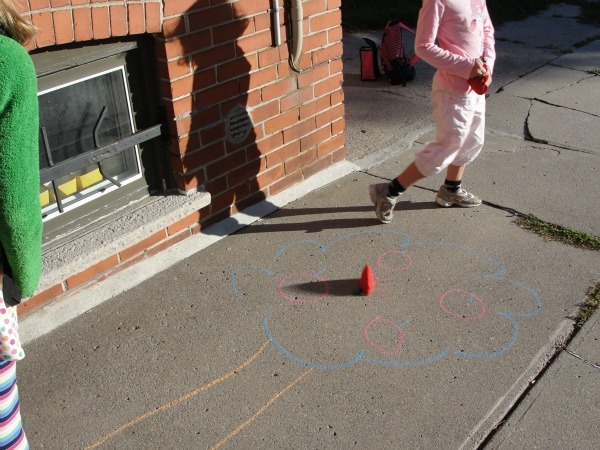 You might remember we took part in the Outside Play Blog Hop before; sidewalk chalk and weekday hopscotch. This month we found a fun way to play outside with apples. 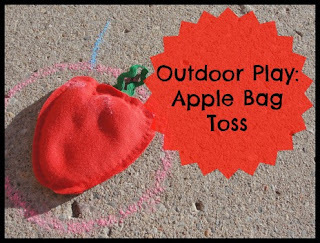 I surprised my girls with apple shaped bean bags and we headed outside where we created an outdoor apple bean bag toss game. Here is how we did it. 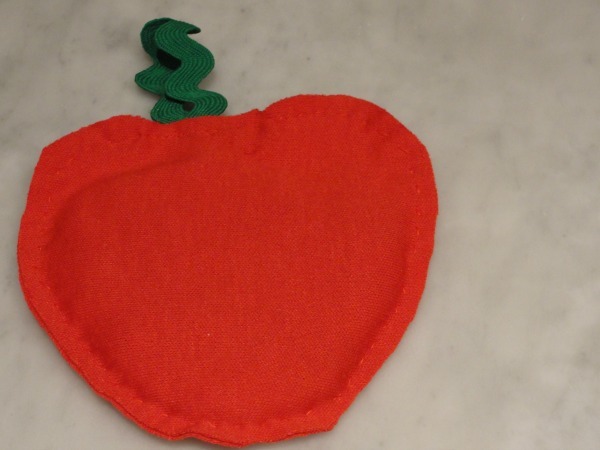 First, I made 2 apple shaped bean bags. Simply cut out 2 apple shaped pieces of red jersey. 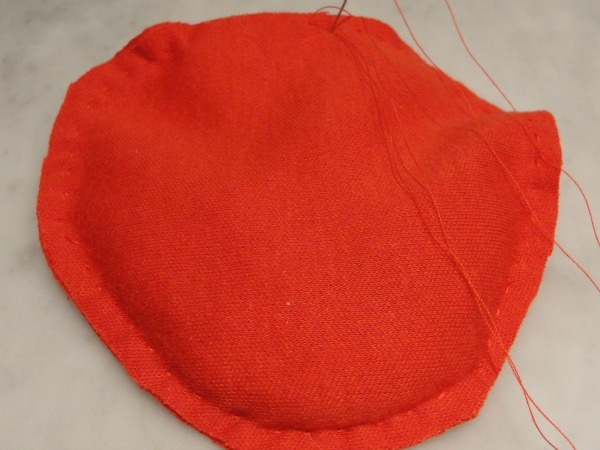 Pin wrong sides together and stitch together, leaving a 1″ hole at the top of the apple. Pour rice into the opening, filling the bag halfway full. 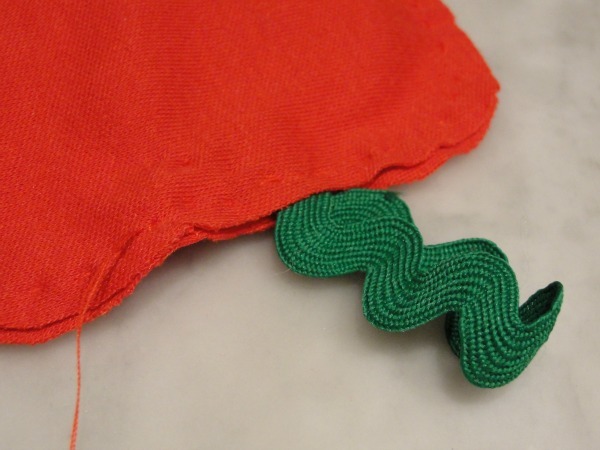 Slip a 3″ piece of green ribbon or rick-rack into the top of the apple…creating the stem. Finish sewing up the opening. 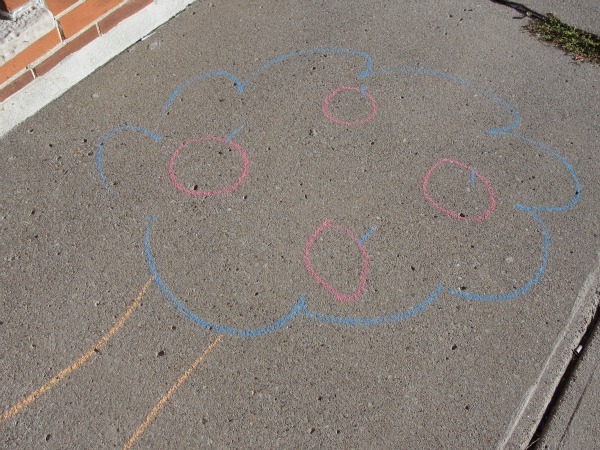 To play the game, head outside and draw an apple tree on the driveway or sidewalk, with chalk. Draw apples as the targets. Points can be applied to the different apple targets if you like. The kids toss the apple bean bags onto the apple targets. The kid with the most points wins…or just play for the fun of it, like we did. The girls had a great time playing this game. I can see how this game can be moved inside easily on rainy days. 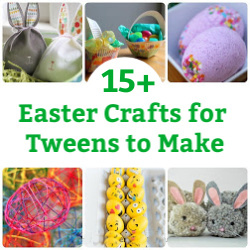 We love versatile crafts and games. 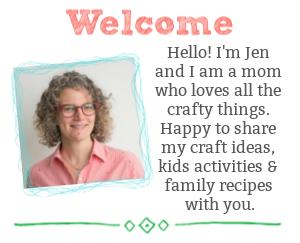 Angelique Felix, Kitchen Counter Chronicles, The Fairy and The Frog, Rainy Day Mum, Loving My Nest, Living at the Whitehead’s Zoo, Inspiration Laboratories, Growing a Jeweled Rose, and The Pleasantest Thing. Feel free to link up your own apple related posts to the linky. What a great game and those are crazy cute apple bean bags – love ’em! Loving those bean bags. My C would love this activity thanks for sharing! 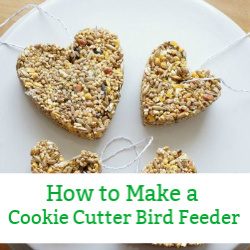 Give it a try, they are so easy to make! Thanks. I really love this idea. I’m not very good with the sewing machine so I might have to use plain bean bags but I really love the chalk apple tree on the pavement. This is such a cute idea! The bean bag is adorable!